Today's Bluetooth headphones come in most every size, shape, and style. Whether you prefer in-ear buds or full-sized cans, your music is never far away. 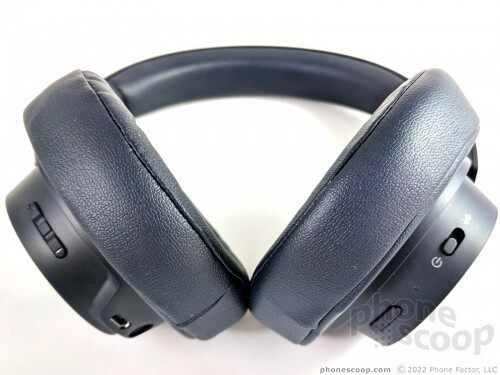 Bluetooth headphones also come with a variety of features, at various price points. Finding the right mix of form factor, feature list, and cost can be a headache. 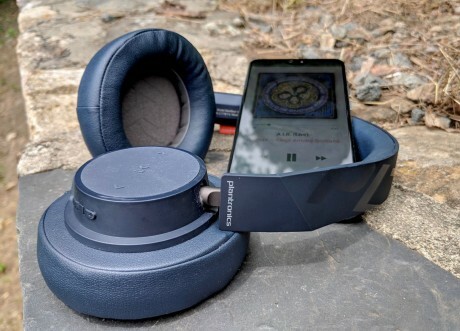 The Backbeat Go 600 headphones mostly pick up where last year's Go 500 left off, though the 500s were on-ear headphones and the new 600s are over-the-ear. 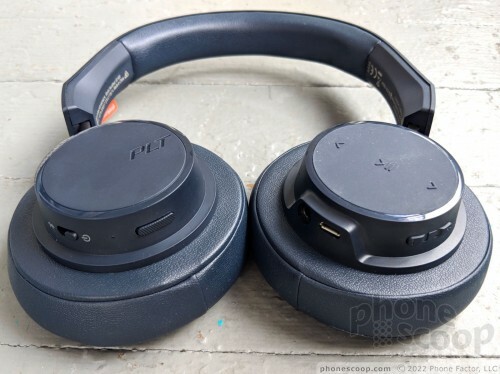 The change in form factor gives people who prefer the over-ear style an affordable option from Plantronics. 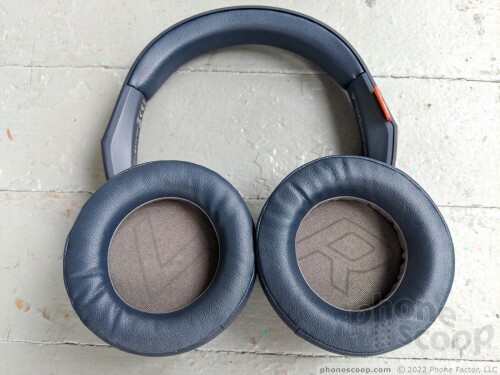 There's something almost comforting about putting on a pair of over-the-ear headphones, allowing them to wrap around your head and envelop your ears. You're purposefully cutting yourself off from the outside world and reclaiming focus. The headphones themselves should eventually melt away from your consciousness as you direct your attention to the music or whatever it is you're listening to. Not all headphones do this equally. 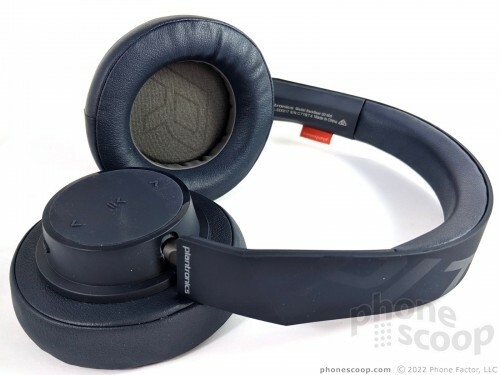 Plantronics' BackBeat Go 600 Series headphones do it well. The issue is striking the balance between size and weight. Over-the-ear headphones need to be of a certain size in order to accommodate the large ear cups. Size often leads to weight, which can be uncomfortable. 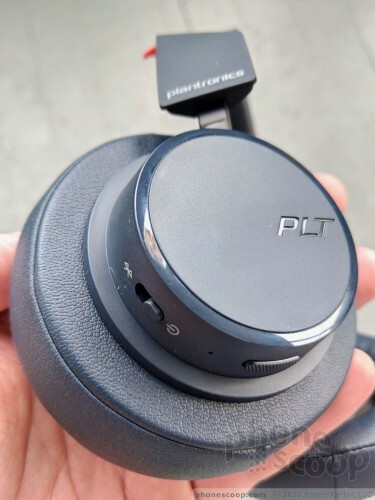 Plantronics kept the weight way down by using mostly plastics in the construction of the 600s. I like the strength of the band. A single piece of plastic, about an inch wide, runs from one cup to the other. It's tough and flexible. Using one part instead of many creates a strong backbone for the 600s. Faux leather padding straddles the top of your head on the inside of the plastic band. The ear cups are mounted to metal posts. Each cup has nearly 2 inches of travel, allowing the 600s to fit a wide variety of head sizes and shapes. There's nothing wimpy about the posts and adjustable action of these headphones. The 600s aren't marketed as "rugged", but they might as well be. The cups swivel, so the entire pair of headphones can lay flat, but they do not fold inward for truly compact travel. 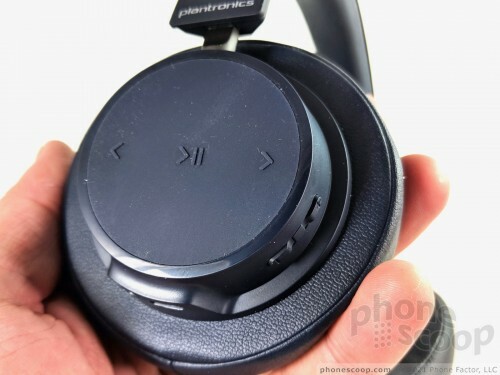 Plantronics went with round cups, rather than oval. They don't quite fit entirely over my ears, but they may cover yours. The faux leather material feels okay, and the foam underneath has plenty of give, to conform to your head. I was able to wear the 600s for hours comfortably. I appreciate that the ear cups didn't make my ears sweat like some headphones do. Most importantly, after a while, I forgot I was wearing them. That's what I want. Further, they provided just the right amount of passive noise isolation from the surrounding environment. The controls are pretty straightforward. A switch on the bottom of the right cup turns on the headphones and puts them in pairing mode. It's a fine switch. Not far away is a switch for the bass boost feature. It's easy to find and use. This is also the button you need to press to answer/end calls when listening to music. A tiny LED is hidden here and lights up when charging. It's hard to see. A volume toggle on the rear of the left cup is no problem for your finger to discover. The two ends of the toggle are easy to tell apart thanks to the scooped contour. Travel is pretty good. 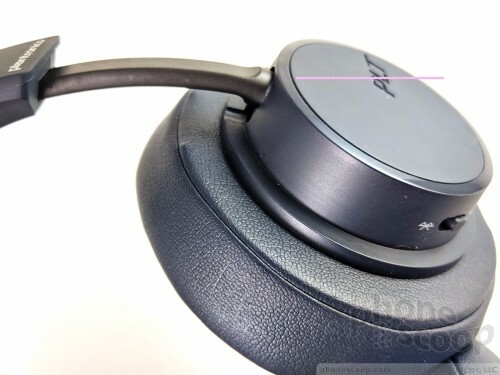 Below the toggle you'll see the microUSB charging port and a 3.5mm aux port. This port lets you use the headphones in wired mode as long as your phone has a headphone jack. This mode also doesn't drain the battery. The outer edge of the cup is made from a soft-touch material. Raised nubs let you know where the play/pause, skip forward, and back buttons are. The buttons are under the rubber skin and have decent feedback. The BackBeat Go 600 headphones come in black, navy, gray, and khaki. The series is simple in styling, and sturdy in design and build. They come with a webbed carrying bag and cables. The 600s include a Bluetooth 4.1 radio with a basic set of profiles, including A2DP v1.2. You won't find aptX or AAC, but you will find Plantronics' own, custom SBC codec. I didn't run into any trouble pairing the headphones with a variety of phones (including both Android and iPhone). Most connections were painless to set up. The 600s have a range of 33 feet (10m) and are pretty strict about it. Stepping more than about 25 feet away from my phone caused the headphones to start cutting out. Crossing the 33-foot boundary caused the connection to drop, as expected. The connection never dropped while my phone was within arm's length. Under the mesh fabric in the ear cups are 40mm drivers with a frequency range of 50 Hz to 20 kHz, which is fairly typical. The 600s include two preset EQ curves: normal and bass boost. There's no point in using the normal setting at all, unless perhaps you're listening to a podcast. It's flat, boring, and not great for most music styles. The bass boost EQ profile sounds much better to me. The 600s produce warm, balanced sound that doesn't lean too heavily toward one end of the spectrum or the other. This makes them suitable for a wider range of music, including electronica/dance, rock/metal, pop/acoustic, and even classical. The passive noise isolation from the over-the-ear design helps. The 600s are richer than the 500s and offer a cleaner listening experience. 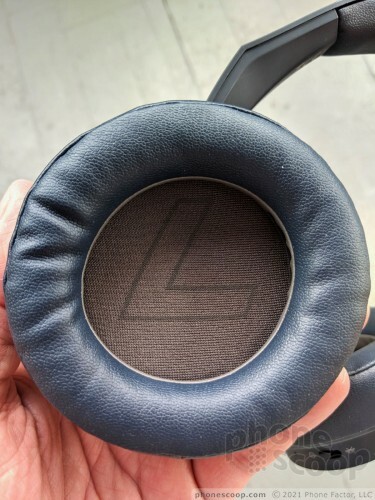 I can't call the 600s the most dynamic headphones I've tested, but they are clean. There's no app to control the Go 600s, though you may be able to tweak the sound a bit via the music player app on your phone. The combination of sound isolation and clean playback means the 600s are great for general listening. 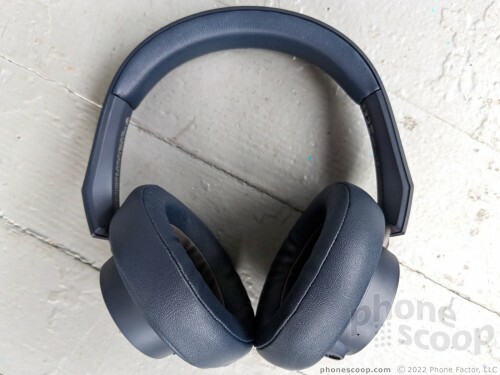 The 600s do not include advanced functions such as active noise cancellation. There is no software magic working in the background to eliminate the roar of airplane engines or other noises. Neither will you find support for smart assistants, such as Apple's Siri or Amazon's Alexa. The 600s don't offer workout software, and in fact aren't really suited for use during intense exercise. Walking on the treadmill, sure, but not mountain biking. If you need to take calls, there's a single mic on the outside of the 600s. The headphones are not optimized for high-quality voice calls. Calls sound good, don't get me wrong, but if you're constantly on conference calls you should really look into a different type of headset. Plantronics doesn't say how big the battery is, but I found it lived up to the company's claims. A full charge delivers up to 18 hours of playback time. That number varied only a little while I tested the battery. The worst performance I saw was 16.75 hours, which is still enough for a flight from NYC to LA and back. The battery can remain in standby for about 20 days. The 600s take about 90 minutes to charge fully. 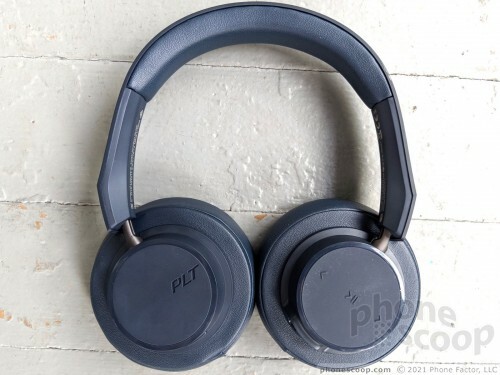 Plantronics kept the BackBeat Go 600s simple and that's their strength. 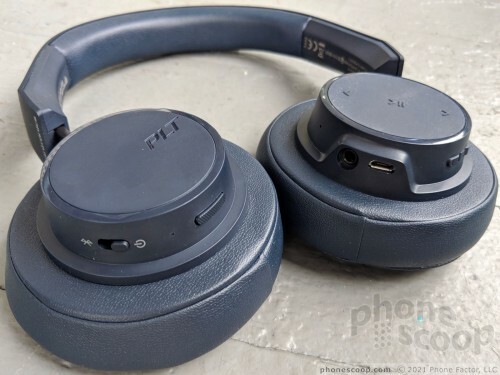 Over-the-ear headphones with active noise cancellation and voice assistant powers would easily set you back $200 or more. By eschewing these advanced functions and instead focusing on knocking the basics out of the park, the Go 600s are a bargain at $99.